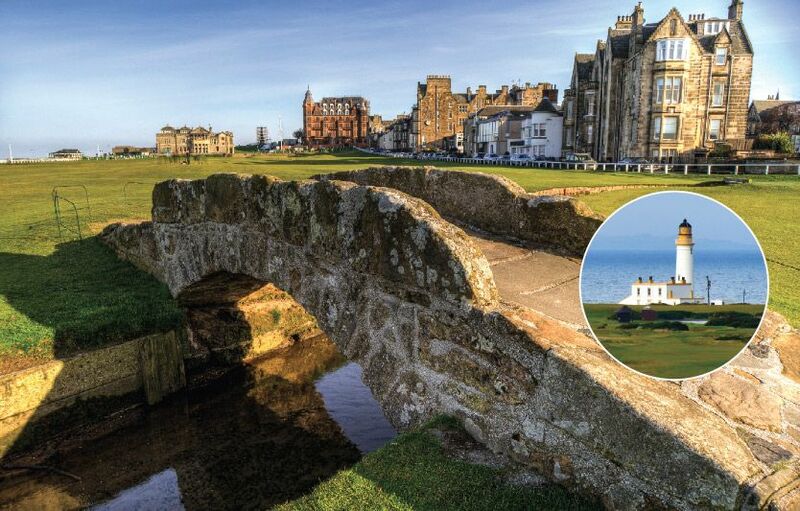 There are many a paradoxes in life, but none greater than golf. Sunrise in the Highlands on the day before my birthday brought breathtaking beauty, coupled with undeniable frustration. For the first time, I had left my clubs my locker overnight. Normally I would never do so if I wanted to play early. And, this morning, the cleaner was inevitably late to work. Sitting on the benches outside the clubhouse in that glorious sunshine, I was filled with angst. I could not get to that first tee and I cursed my luck. I wondered if it would continue and I was doomed to have my 50th year be marked by misfortune. 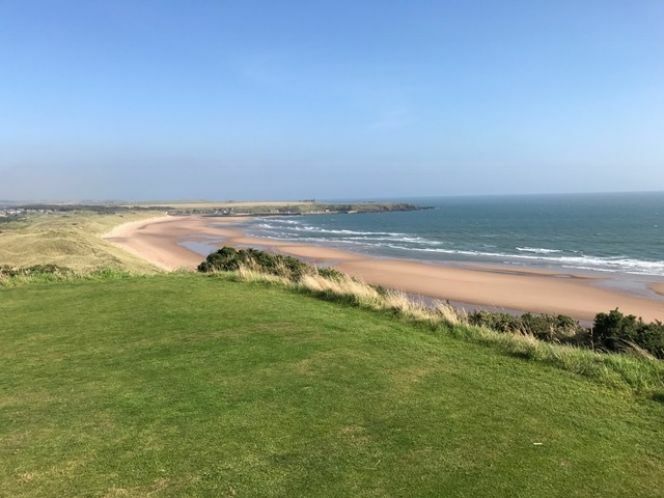 So there I was, with this amazing view, reliving all the past frustration: I had had a terrible run up to golf season, culminating in badly spraining my ankle. It meant that I could hardly walk, let alone think about playing golf. I had to go back to the basics: ice, heat, a few steps, and exercises on the matt to keep up my muscle strength. But most of all it meant patience. Something that is not my strong suit. Here I was delighted that I could actually walk the golf course and play golf but being forced to wait again. Being so agonisingly close, and yet still so far away from being able to do what I wanted: and it required my discipline not to 'throw all my toys out of my pram' as we say here in Scotland. But I was filled with anger again at my stupidity, and unfortunately I took that to the first tee. Forty five minutes later, but what seemed like a lot longer, I was finally able to get to that first tee. It was my turn to bash out all my frustration on the golf ball. I hit a beautiful drive down the first, for it only to bounce into the rough and be buried. I somehow managed a double bogey six at the first, only to be stopped by my green keeper friend on the second tee. It was great to see him and catch up, but my mind was on the course. Nothing was going to plan now: not my round nor my morning. Everything was off: putts shaved the hole, balls bounced into the rough or the bunker, and even when I was chipping on the green, it seemed the ball would not stop. I was trying so hard and yet nothing seemed to be working. I was getting more and more annoyed. 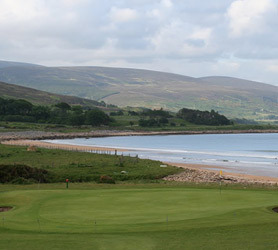 The 11th at Brora is called the Dry Burn; however, there is nothing dry about that burn. And it was running at full flow that morning. 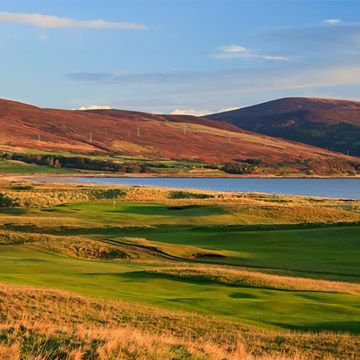 I thought about James Braid designing that course, and possibly naming those holes: why had he done that? "Whose idea of a joke was that?" I asked myself as I fished my ball out of the flowing water. I took a poor 7 there, at the not-so-dry burn. 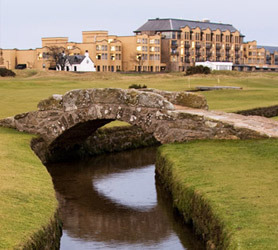 And it was walking to the next hole, Dalcalm, the 12th, I had an Epiphany. The harder I was trying, the worse I was doing. So what was the point of trying? It was if my Dad and James Braid were having a laugh at me as I slogged around the course. I needed to stop trying so hard, and start enjoying the fact that I was here. 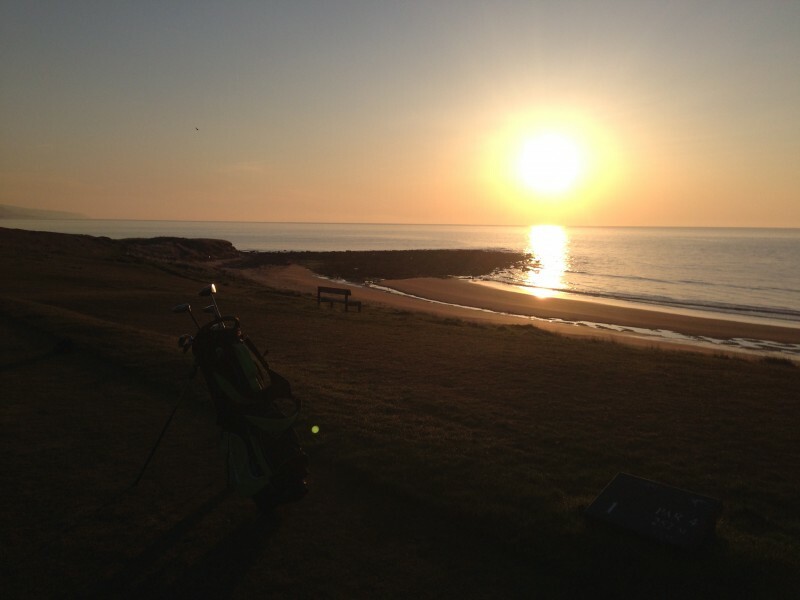 I was able to play on Brora Golf Links, James Braid’s finest links course (in my opinion) on such a beautiful morning. I consciously stopped trying, took a deep breath, put the ball in the ground on a tee, and smacked that golf ball most of the way down the fairway. From then on, there was no looking back. I played the back nine, lights out, precisely because I 'played.' I was on all the greens in regulation, swinging easy and the more I enjoyed the golf course and the less I tried, the better I scored. 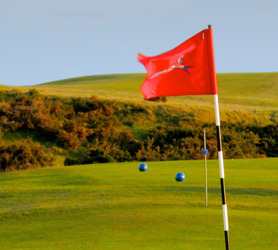 I was even putting for birdie on the 16th and 17th, something which I normally never can achieve! 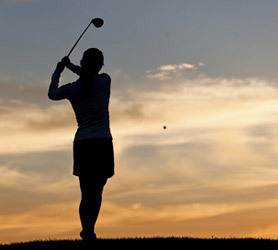 That to me, is the great paradox of golf: the harder I try, the worse I do. If I let the clubs do the work, and play the golf course, the better I will play. And the better I play, the better I score and its all a self fulfilling process. 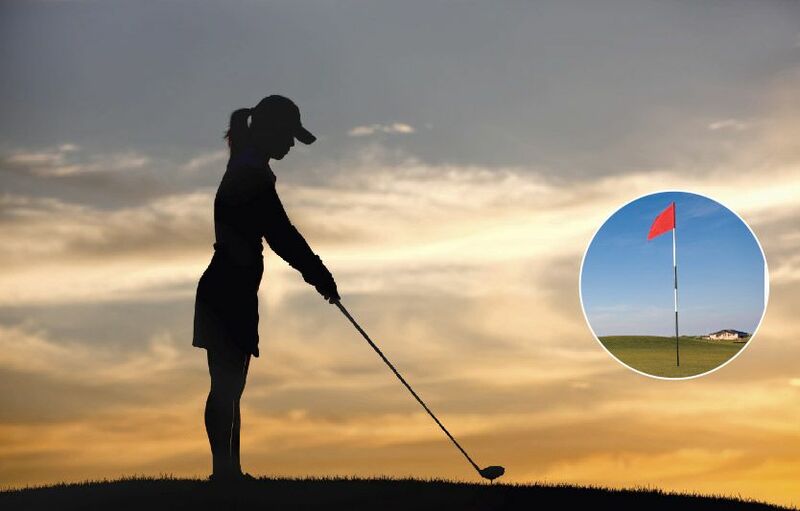 It might not be the same for other golfers, but it is certainly true for this ‘Lady of the Links.’ That is, when she finally gets to the links! And she won’t be leaving her clubs in the locker room over night anymore when she wants to have an early start ... another lesson learned the hard way!